The devotional Bhakti movement, or more specifically, the Vaisnava Bhakti movement, in Bengal is a subject on which much has been written since the time of its founder, Chaitanya.Within this long tradition of discussion and debate, some academic scholars, such as Jadunath Sarkar, Dineshchandra Sen, Bimanbihari Majumdar, Bhupendranath Dutta and Sashibhushan Dasgupta, have made notable contributions on various aspects of the movement since its beginning in the period of the Bengal sultans. Each of these scholars had a distinct approach, focusing on specific themes. In line with these earlier approaches, Hitesranjan Sanyal (1940-1988) tried to spell out his own distinctive opinion regarding Vaisnavism in Bengal. His work remained unfinished because of his untimely death. This is his seminal paper on the Bhakti Movement and Vaishnavism in Bengal. 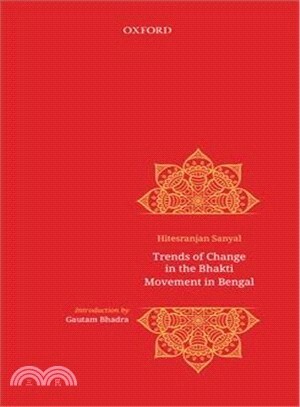 Hitesranjan Sanyal was at the forefront of research on social and cultural history of Bengal. until his death in 1988, he was one of the fiunders of the Centre for Studies in Socvial Sciences, Calcutta.